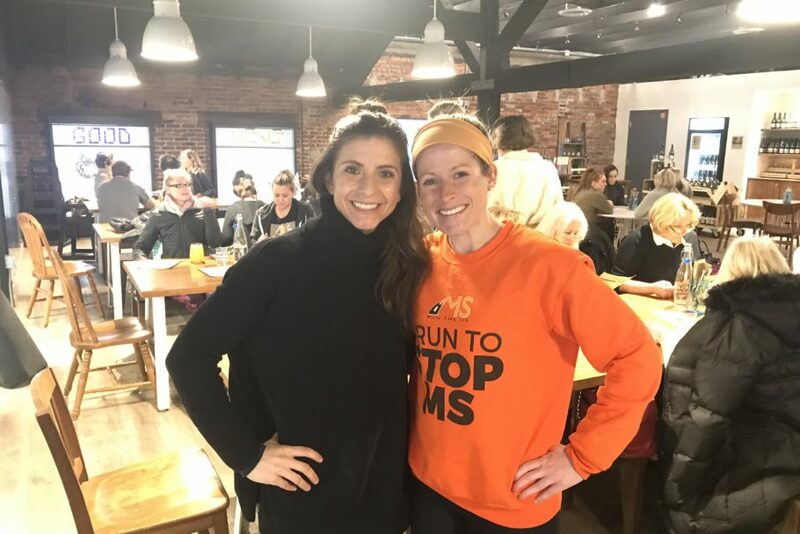 I will be running 167 miles in 6 days in honor of my friend, John Platt, and for multiple sclerosis fundraising with the 2019 Ultra Relay Team. I started running when I was 14 and immediately fell in love with pounding the pavement everyday. I have completed several marathons and various race distances. I am a physical therapist which brought me to meeting my friend, John Platt, who is a mobility impaired runner with MS. John is also on the board for MS Run the US and is very involved and active in the MS community. John and I bonded over running injuries and stories during his PT sessions until one day he asked me to run the Boston Marathon with him as his guide. From this moment it helped me realize my purpose in life and I decided to go back to school, again, to get my Masters in Adapted Physical Activity so I can create more adapted sports programming for individuals with disabilities. John has been a wonderful friend and a huge influence on my life and I am honored to be running 167 miles in support of him and his family.